I’ve been a tad quiet on the blogging front as I’ve been in the process of moving house. 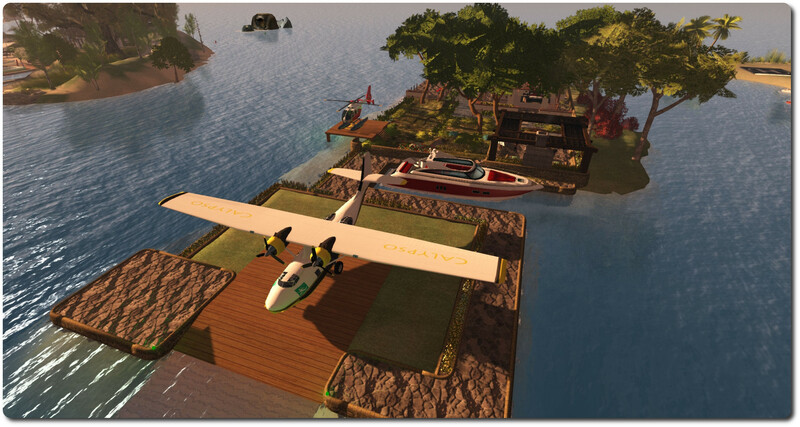 This wasn’t actually something I’d planned, having been more than happy living on a corner parcel of a region in the United Sailing Sims; but there’s this Catalina flying boat I recently came across, and have, quite frankly, fallen in love with. 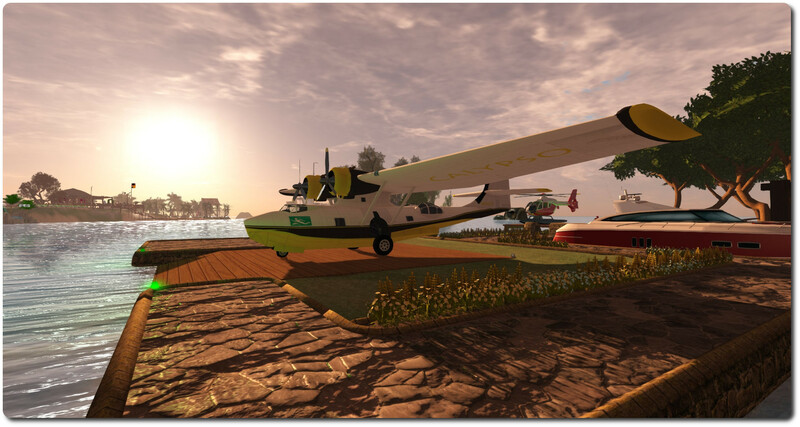 I had been content to simply pull the Cat out of inventory when wanting to fly it, but then Terag Ershtan pointed me towards Josh Noonan, who produces paint kits for a number of aircraft, including the Catalina, one of which represents the aircraft in Cousteau Society colours, which I had to have. And the plane looks so good in the colours, I wanted a place I could leave it parked out and visible … and the house move grew from that … ! I’m still within the United Sailing Sims and not far from Blake Sea, but I now have my own little island. This came to me by chance; I had actually looked at it prior to it becoming available, and thought it might be perfect; however it was at that time already rented. Then Nber informed me it was about to become available, so talk about serendipity! 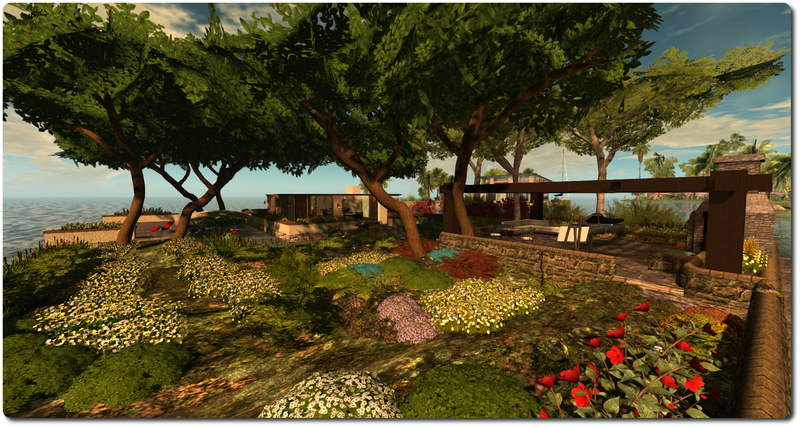 The move hasn’t seen me change the house very much – I’ve kept to the same design I re-worked recently, and simply added a few more trees and plants around the garden and the land. 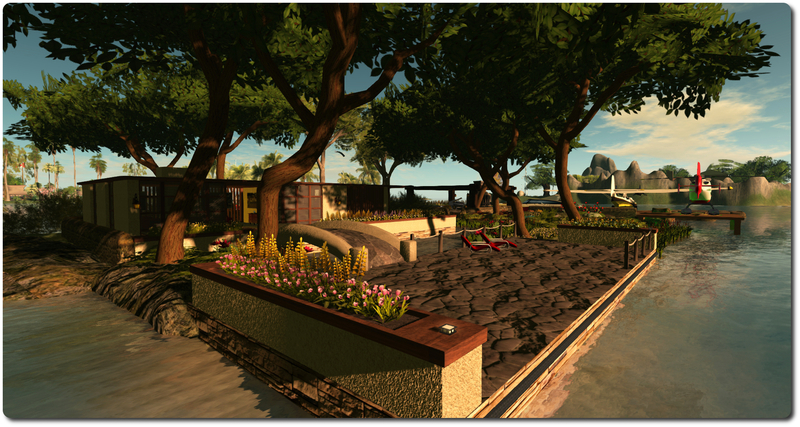 The layout of the island leads itself perfectly to my having a parking area for the Catalina, and also provided the ideal spot to re-position the main mooring area for a boat. Admittedly, the Lady of Calas 2 was too big for the latter, but the land was perfect for cutting to make a space for Lady Of Calas, my E-Tech Sparrow, and without really altering the shape of the island too much in the process. Alex Bader’s rustic wall came in handy for creating retaining walls around parts of the island, helping to give additional form (I think) to the place, their aged look hopefully suggesting the house has been situated on an island once given over to an older stone build of some description, the foundations now having been put to new use. The south side of the island is given over to the parking area and ramp for the Catalina. This has footpaths and flower beds (Kayle Matzerath’s brilliant Lumenaria mesh flowers again) running around it, and a large sort-of terrace area which might come in handy for something at some point. I’ve just no idea what… The Catalina handles the ramp very well, and I’m getting used to the relatively small area in which to turn it around following a flight. The total LI for the house, grounds and wildlife is 501, with the boat, Catalina and helicopter accounting for another 233 and my cat & his accoutrements claiming for a further 35. All of which, if I say so myself, isn’t bad, and leaves me with a comfortable buffer of additional land capacity should I need it. I just hope the neighbours don’t object to the noise from the Catalina when I’m coming and going by air!